Stars are shiny, we all know that. As is this crystal which is cut like a star. Available in three colours it will give a subtle touch to you nostril. With a size of 2.5 mm in diameter this crystal is half a millimeter bigger than usual. That might not seem like much but in comparison to your nostril it is definitely a bit bigger. 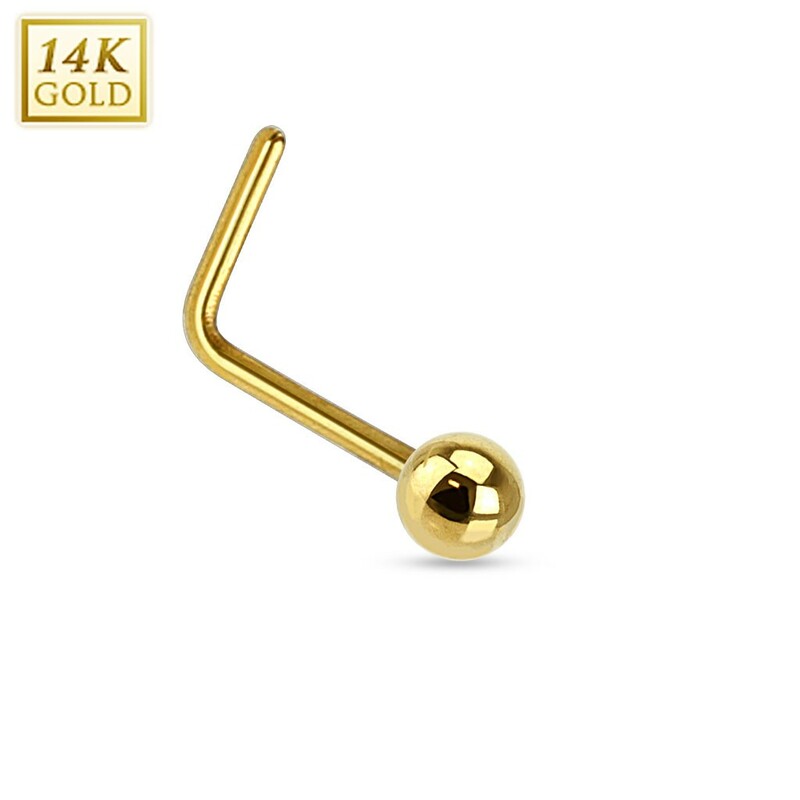 We haven’t mentioned the solid (white) gold that makes up this nose piercing. Solid gold has that special appeal. Besides that gold is pretty to look at it also brings some practical advantages. Most important is that solid gold will not wear down.